Ginny Cato is an Advanced Practice Nurse. Ginny received her bachelors in nursing from the University of Arkansas in Fayetteville. She then went on to receive her MSN from Frontier Nursing University. Ginny is certified as a family nurse practitioner through the American Academy of Nurse Practitioners Certification Program. Previously, Ginny worked as a critical care RN at Washington Regional Medical Center and a nurse practitioner at a local family practice clinic. Ginny is a member of Sigma Theta Tau, Arkansas Nurse Practitioner Association, American Association of Nurse Practitioners, and Oncology Nursing Society. Melanie C. Haney is an Advance Practice Nurse and is board certified by the American Nurses Credentialing Center as an Adult-Gerontology Clinical Nurse Specialist. She earned a Bachelor’s of Nursing from the University of Arkansas in 2007. She worked for the Cardiology/Progressive Care Unit at Washington Regional Medical Center from 2007-2014 as a Staff Nurse, Admission /Discharge Specialist, Chest Pain Coordinator, and eventually became the Assistant Director of Cardiology/PCU and Medical/Surgical/Pediatrics. She once again graduated from the University of Arkansas in 2014 with a Master of Science in Nursing. Professional Memberships include Sigma Theta Tau, Pi Theta Chapter, Oncology Nursing Society, and the American Association of Critical-Care Nurses. Melanie has been with Highlands Oncology Group since July 2014. Danielle Hayes is a Physician Assistant and is certified by the National Committee on Certification of Physician Assistants and licensed by the Arkansas State Medical Board. In 2010, she graduated from the University of Arkansas at Fayetteville with a Bachelor of Science in Biology. She obtained a Masters of Science in Physician Assistant Studies in 2012 from Harding University. 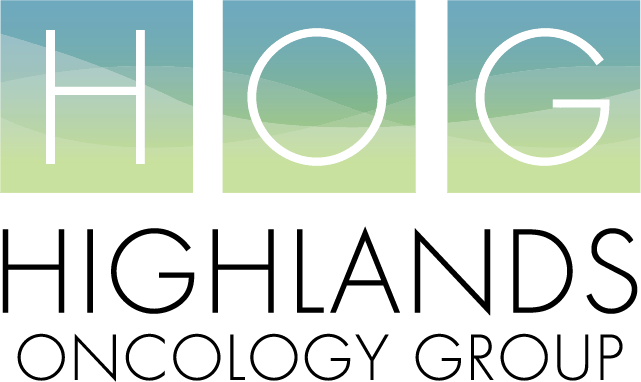 Danielle has been a part of Highlands Oncology Group, specifically as a gynecologic oncology PA for Dr. Joseph Ivy, M.D., since 2013. She primarily is Dr. Ivy’s first assist in surgery, but also works in the clinic. Prior to joining Highlands Oncology Group, she worked as a cardiac PA at Walker Heart Institute at Washington Regional Medical Center. Professional memberships include: American Academy of Physician Assistants, Arkansas Academy of Physician Assistants, and the Society of Gynecologic Oncology. Laura Jackson joined Highlands Oncology as a Physician Assistant in 2015. She is certified by the National Committee on Certification of Physician Assistants and licensed by the Arkansas State Medical Board. Laura received a Bachelor of Science in Biology from John Brown University (1990), a Master of Science in Nutrition from the University of Oklahoma (1994), and a Master of Science/Certificate in Physician Assistant Studies from Saint Francis University (2009). Laura practices with Dr. Hollis Rogers in Highlands Oncology Group’s colorectal surgery clinic, serving as his first assist in surgery. Prior to joining Highlands Oncology Group, Laura was a PA for Community Clinic for six years, treating family practice, pediatrics, and women’s health patients. Mary Shannon Jones is an Advanced Practice Registered Nurse, certified by the American Academy of Nurse Practitioners as a Family Nurse Practitioner. She received an Associate’s Degree in Nursing from the University of Arkansas, Fayetteville in 1990, a Bachelor of Science in Nursing from Excelsior College in New York, New York in 2001, and went on to receive a Master of Science in Nursing from the University of Missouri at Kansas City in 2002. In 2002 she went to work for Ginger Dermatology focusing on diseases and conditions of the skin which continue to be an area of continued focus. She is a board certified Wound Specialist by the American Board of Wound Management. She worked as a Family Nurse Practitioner for First Care Family Doctors-Springdale from 2003-2011, and at WRMC East Springdale Family Clinic from 2012-2013. From March 2011-November 2013 she was the Clinical Director of Wound Care, Hyperbaric Oxygen Therapy, IV Infusion Center, Diabetic Education, Wound Ostomy Team, and PICC Team at Washington Regional Medical Center. She joined the Highlands Oncology team in November 2013. Jennifer Manos is an Advanced Practice Nurse and is certified by the American Nurses Credentialing Center as an Acute Care Nurse Practitioner. She graduated from the RN program at Baptist School of Nursing in Springdale, AR in 1996. In 2006, Jennifer completed a Bachelor of Science in Nursing at Northeast State University in Muskogee, OK. She earned a Master of Science in Nursing from UAMS, Little Rock, AR in 2010. 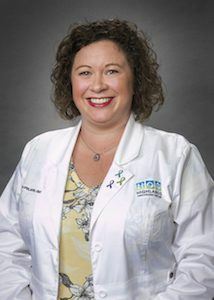 Prior to joining Highlands Oncology Group, Jennifer worked as a Critical Care RN for Northwest Medical Center in Springdale, AR from 1996-2002, and for Mercy Health System in Rogers from 2002-2011. Professional memberships include Sigma Tau Theta, American Association of Critical Care Nurses, and American College of Cardiology Cardiac Care Associates. Caitlin Reiff, PA-Caitlin Reiff is originally from Houston, TX. Caitlin attended The University of Texas, Medical Branch, for PA school and received her undergraduate degree from Texas A&M. She previously worked in gastroenterology for Texas Digestive Disease Consultants and worked briefly in a convenient care setting, after moving to NWA in 2014. 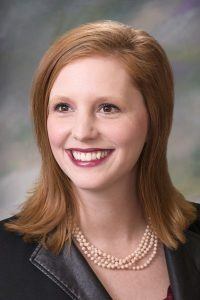 Caitlin is a certified Physician Assistant (PA-C) through the National Commission on Certification of Physician Assistants and the Arkansas Medical Board. She is also ACLS, PALS, and BLS certified, a member of the Association of Physician Assistants in Oncology, and affiliate member of the Oncology Nursing Society. Angela Stewart, an Advanced Practice Nurse, is originally from Ft. Smith, Arkansas, and relocated to Fayetteville after attending the University of Arkansas. She graduated with an Associate of Applied Science Degree in nursing from NWACC in 2000. She received her BSN in 2004 from the University of Arkansas for Medical Sciences and continued working on her Masters of Nursing Science at UAMS, graduating in 2006. 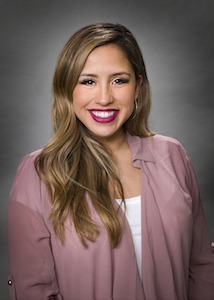 She is currently attending the University of Arkansas and is working on completing the first Doctor of Nursing Practice program at U of A, and will graduate in May of 2015. She is a certified Acute Care Nurse Practitioner (ACNP). She began working at Highlands Oncology Group, P.A. in June 2009. She has also obtained her Advanced Oncology Certified Nurse Practitioner (AOCNP) certification. She also has a clinical breast examiner’s certification (CBEC). She has most recently attended the University of Massachusetts Tobacco Treatment Specialist Program, and is currently working on her Capstone Project which is Treating Tobacco Use in Lung Cancer Screening patients where she provides a comprehensive smoking cessation program including counseling and pharmacology for lung cancer screening patients who are interested in quitting smoking. Amber Nguyen is an Advanced Practice Registered Nurse from Northwest Arkansas. Amber is board certified by the American Nurses Credentialing Center as an Adult-Gerontology Primary Care Nurse Pracitioner. She received her Bachelor’s of Nursing from Arkansas State University in 2012. Her clinical experience as a nurse is in critical/intensive care. She then went on to receive her Master’s of Science in Nursing from the University of Arkansas Medical Sciences in May 2015. Prior to joining Highlands Oncology, her experience as a nurse practitioner began in Senior Health. Amber is a member of Sigma Theta Tau Honor Society and the Oncology Nursing Society. Stephanie, “Sam”, is from Houston, TX and moved to NWA after graduating High School. Stephanie received her ADN from NWACC. Most recently, she earned her Adult Gerontology Primary Care Nurse Practitioner degree. Her hobbies include golf, crafts, and spending time with family. Ambry Prater, PA-C is originally from Seneca, MO. Ambry attended Missouri State University in Springfield for undergrad and PA school. She previosly worked in family med/urgent care at WellQuest in Bentonville. Ambry is a certified Physician Assistant (PA-C) through the National Commission on Certification of Physician Assistants and the Arkansas Medical Board. She is a member of AAPA. In her free time, she enjoys cooking and home improvement/decor and design. Sandy Simmons graduated from Baptist School of Nursing in 1983. She completed her Masters of Science in Nursing from the University of Missouri in Kansas City in 2001. She is a member of The Oncology Nursing Society and The American Pain Society. Sandy is Dr. Juan Lombeida’s nurse practioner. Dr. Lombeida is a supportive care physician at Highlands Oncology Group. Personally, Elaine has been happily married to her husband for 31 years and has two boys who are both attending the University of Arkansas. In her spare-time she enjoys hiking, running, swimming, and spending time with family. Susan graduated from The University of Arkansas for Medical Sciences with her Masters of Nursing Science in December of 2017. She is an Oncology Certified Nurse (OCN) and a Member of Oncology Nursing Society, NWA Chapter. In her free-time she enjoys traveling, running, spending time with her husband and son. graduated with her Masters of Nursing Science from The University of North Carolina in 2010. She is board certified as a Family Nurse Practitioner and Women’s Health Nurse Practitioner. Deena Fitzgerald, MSN, APRN, ACNS-BC graduated with her Master of Science in Nursing from the University of Arkansas. Prior to graduating with her masters, she practiced at Washington Regional and the Veteran’s Hospital. As an APRN she worked in primary care at the VA before transitioning to TruHealth Family Practice Clinic. Deena is Board Certified as an Adult Clinical Nurse Specialist and a member of Oncology Nursing Society. In her personal life, Deena enjoys spending time with her husband and three children, reading, and shopping. She is also actively involved with her church.